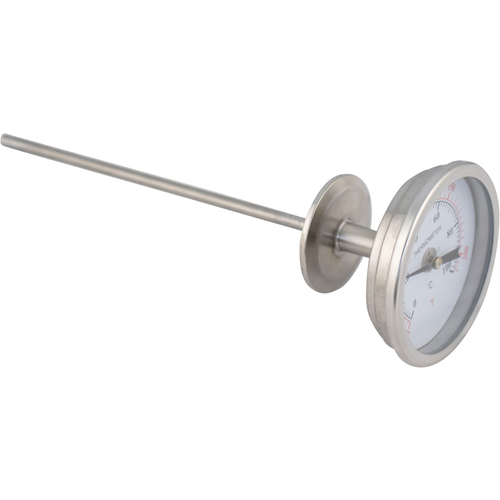 Stainless steel dial thermometer with 1.5" tri-clamp fitting. 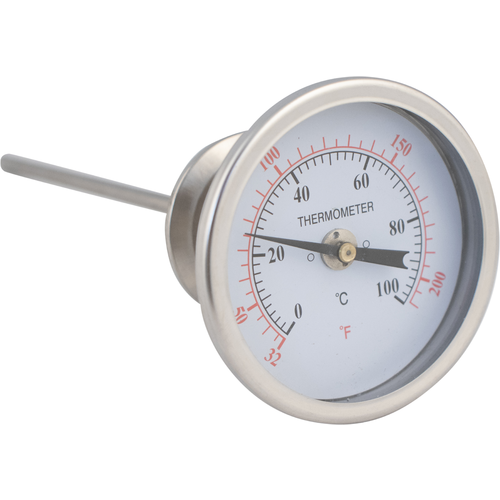 Thermometer face measures 3.25" and measures from 32-220°F (0-100°C). 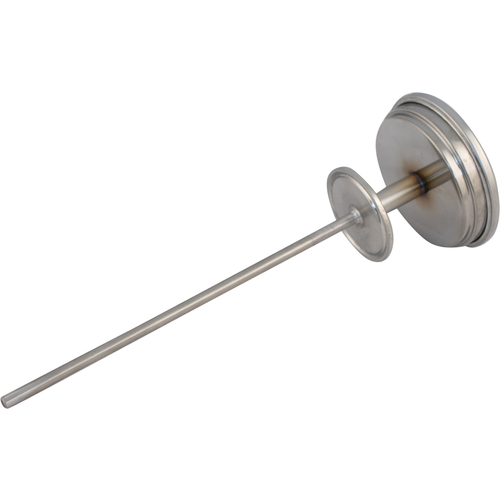 Probe measures 7.5" in length from the tip to the T.C. fitting.